From the 401, take exit 509 and drive 15 km. north on Hwy 30 to Northumberland Cty Rd. 29 (flashing yellow light). 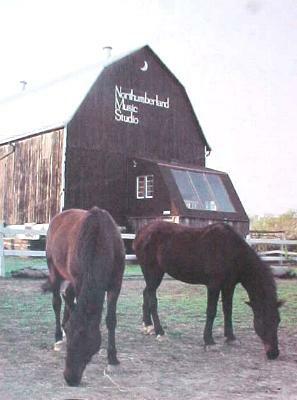 Studio is located on the northeast corner of the intersection( look for barn). 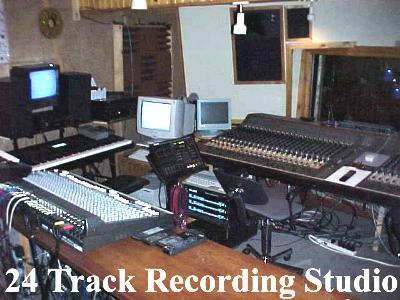 24 track digital recording studio. 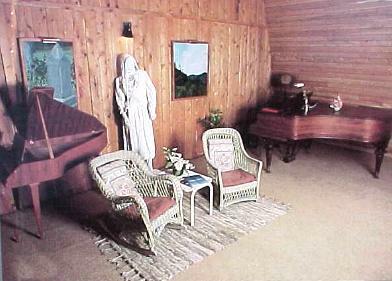 Recording area is a spacious 1000 square feet with 14 foot ceiling and 3 isolation rooms. 500 square foot Control room with 14 foot window overlooking performance area. Services: Recording and production services, film and video scoring; audio for video post, including computer assisted mixing; producing, arranging and orchestration; session musicians and vocalists. Types of Consoles: 32-channel DNR automated; Types of Recorders: ADAT; Instruments Supplied: Keyboards; in house grand piano.